One of the best things about summer is the abundance of beautiful flowers in season. If you are planning a summer wedding, you will have a wonderful array of bright and cheerful blossoms from which to choose. Indulge in the most colorful flowers for summer weddings. What could be more cheerful than a daisy? A brightly colored gerbera daisy! These happy flowers come in virtually every color a bride could ever want for her wedding, making them a terrific choice for an informal summer celebration. Combine fuchsia and orange gerberas for a spicy summer look, pale pink and lime for a preppy ceremony, or yellow, hot pink, and orange for a casual backyard wedding. Gerbera daisies usually look best as round bouquets, but for other decorations they can be displayed in all sorts of creative ways. 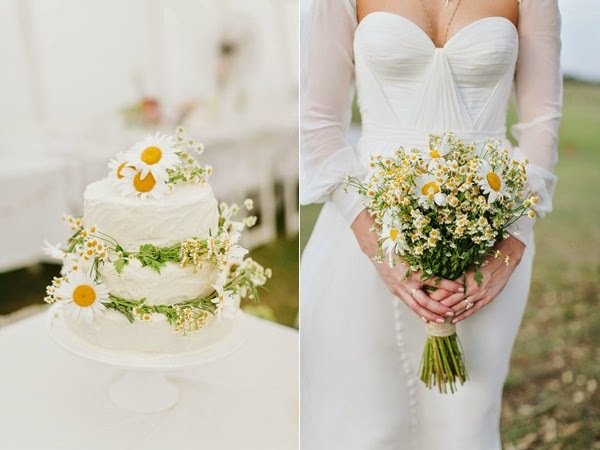 Hang strings of daisies behind an outdoor ceremony altar, place single stems in test tubes down the middle of a table for a modern centerpiece, or plant them in boxes of wheat grass for a whimsical design. Zinnias are a wedding flower whose stock is on the rise. They are not as widely used as traditional blossoms like roses or peonies, but maybe they should be. Zinnias have a lot going for them: they are inexpensive, full, and come in tons of vivid hues. 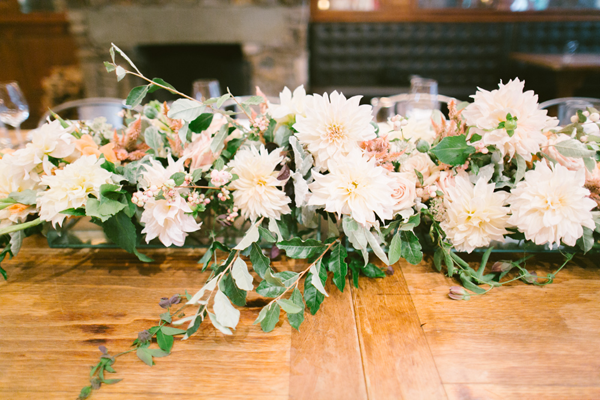 They are generally regarded as an informal flower and would be fantastic for a country wedding. Pop mixed colors of zinnias into vintage tea tins, white hobnail pitchers, or Mason jars for a great look. Feel free to mix and match unexpected shades of zinnias like bright purple and crimson. You might just like the combination so much that you have custom bridesmaid jewelry made to coordinate. Another great colorful wedding flower is the dahlia. If you really want to make a splash, opt for dinner plate dahlias. True to their name, a single blossom is as large as a plate! It won't take many of those stunners to create a remarkable summer wedding centerpiece or bouquet. Dahlias can be found in a gorgeous array of vivid hues like yellow, red, pink, purple, and orange. Some of the most spectacular dahlias are variegated blossoms with more than one color per flower. Picture enormous flowers in orange and yellow, pink and white, or red and white and you get the idea. A single dinner plate dahlia tied with a satin ribbon would be a very chic bouquet for a bridesmaid. It would look marvelous with a polished cotton strapless bridesmaid dress and custom bridesmaid jewelry in a coordinating shade. 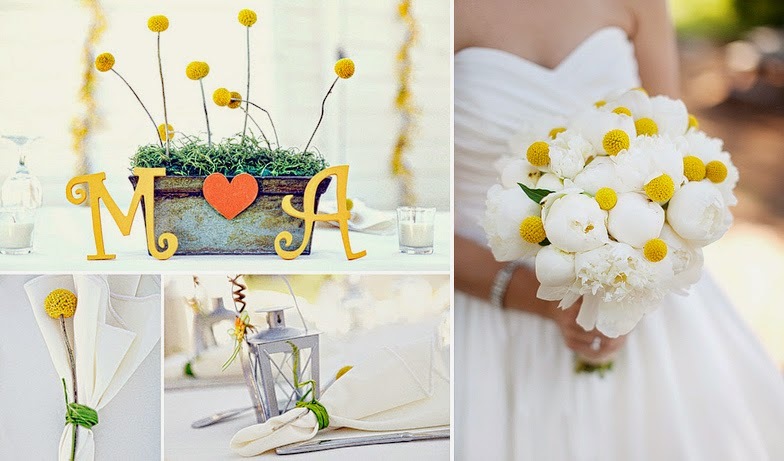 A very hot trend in bright summer wedding flowers lately is the use of craspedia. Also called billy balls, billy buttons, and woolyheads, these fun little spherical flowers are a member of the daisy family. Perfectly round and long stemmed, billy balls look great in mixed bouquets of wildflowers or on their own made into pomanders or round bouquets. They have a very hip and modern appeal which has sparked a sudden rise in popularity for these charming little yellow or orange balls. For a very cute centerpiece idea, arrange bright yellow billy balls in assorted vintage jars and small vases in contrasting colors like aqua or red. 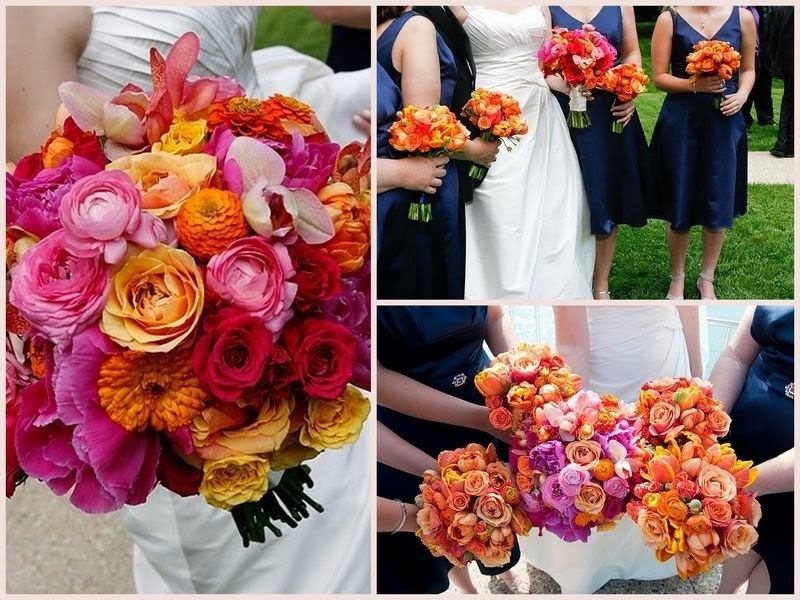 Colorful flowers will add a festive and cheerful flavor to your wedding. Whether you mix in a few with more classic white and pastel blossoms or go for an all out explosion of color, the bright flowers will look fabulous. The upbeat hues are just perfect for a summer wedding.